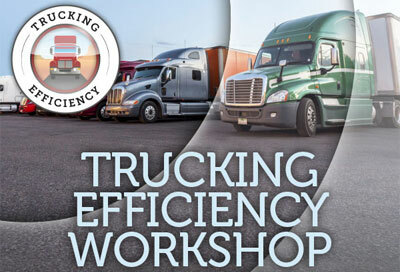 November 10th 2015 - On December 9th, ARC is hosting Trucking Efficiency Workshop being organized by NACFE (North American Council for Freight Efficiency). The workshop includes a tour of the ARC facilities and a chance to see the ARC rolling road wind tunnel, an approved EPA Smartway facility, in action and obtain actual test results. During events throughout the day, an in-depth look at aerodynamic testing and evaluation, along with several workshops and discussions to further understand where the commercial industry is heading. Trucking Efficiency is a combined effort of the Carbon War Room and the North American Council for Freight Efficiency to double the freight efficiency of North American goods movement, through the elimination of market barriers to information, demand and supply.